Born in 1778 and a naval cadet from the age of 10, Bellingshausen had served as fifth lieutenant on the first Russian voyage around the world, led by Admiral Adam Johann, Baron von Krusenstern from 1803 to 1806. When the Russian Antarctic expedition was being planned as part of a burgeoning nationalism, Bellingshausen was chosen to command the two ships, Vostok and the smaller and slower Mirnyi, with a total of 189 officers and crew. He was allowed very little time to prepare for this monumental undertaking—indeed, the expedition sailed in late July 1819, about two months after he was recalled to St Petersburg from survey work in the Black Sea. His instructions were succinct: to build on the explorations of Cook, whom the Russians greatly admired, and “to approach as closely as possible to the South Pole, searching for as yet unknown land, and only abandoning the undertaking in the face of insurmountable obstacles.” The quest for the South Pole (rather than the Great Southern Continent) had begun. Bellingshausen’s expedition has often been overlooked in Antarctic history because his logs are lost and his unassuming personal record was available only in Russian until 1902, when a German translation appeared; there was no English version until 1945. Few visitors realize the historical significance of the name of the stretch of the Southeast Pacific to the west of the Antarctic Peninsula: the Bellingshausen Sea. The two ships left Rio de Janeiro on 20 November 1819 for South Georgia, where Bellingshausen completed Cook’s survey by mapping the southern coast. He then followed Cook’s route to the South Sandwich Islands and, in better conditions than Cook had experienced, found that they were just more small islands, and that there were more of them than Cook had observed. Continuing eastward, he crossed the Antarctic Circle on 15 January 1820—his was the second expedition to do so—but did not even note this first crossing in his narrative. But while Cook sailed 24° of longitude within the Circle, Bellingshausen was to cover more than 42°. On 16 January he would have seen the continent if the weather had been fine, but he was sailing through snow when he observed “a solid stretch of ice running from east through south to west.” Probably he was viewing an ice shelf at the base of Haakon VII Sea, which may at that time have extended far out to sea. Geographers regard continental ice as part of the landmass—otherwise, the Antarctic Peninsula would be classified as an archipelago—so the first sighting of “Antarctica” may be credited to Bellingshausen. Some have contended that what he saw was pack ice, but his use of the Russian term for “continental ice” works against that argument. Bellingshausen’s information for 5 February is more definite. On a day with good visibility he wrote: “The ice to the SSW is attached to cliff-like, firmly standing ice: its edges were perpendicular and formed bays, and the surface rose in a slope towards the south, over a distance whose limits we could not see from the cross-trees.” He must have been looking at the Lazarevisen (Lazarev Ice Shelf). But he needed supplies, so he sailed north to Port Jackson (now Sydney). On 31 October he sailed south again to complete his circumnavigation of the South Pole. However, like Cook before him and Shackleton to come, he encountered unseasonably heavy ice as he approached the continent. 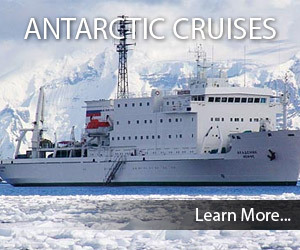 Thus he missed the Ross Sea and could not cross the Antarctic Circle until 14 December. 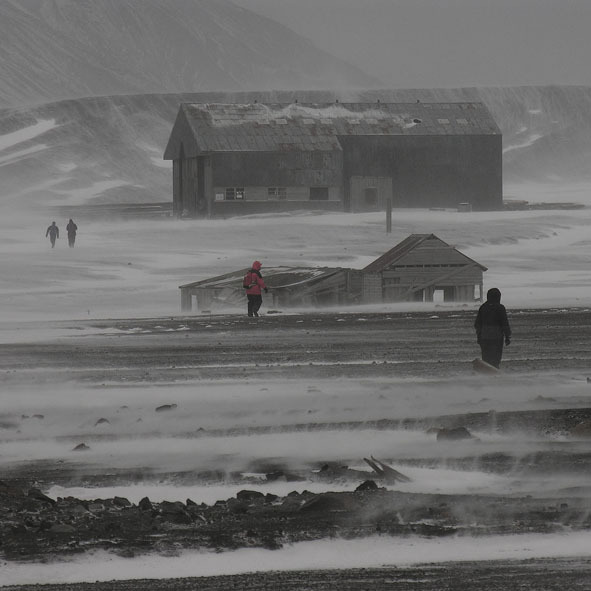 But on 21 January 1821 he reached the southernmost point of his voyage—69°59´S—and discovered Peter I Øy, the first land ever seen within the Antarctic Circle. He also discovered and named Alexander I Land (now Alexander Island), stating: “I call this discovery ‘land’ because its southern extent disappeared beyond the range of our vision.” It is in fact a large island, separated from the continent by a narrow channel but linked to it by ice. He sailed on to the South Shetland Islands, which he mapped, and on Teille Island (now Deception Island) he encountered American and British sealing ships working the island group. On 25 January a young American captain, Nathaniel Palmer, came aboard; Palmer was later to lay dubious claim to have been the first to see the Antarctic Continent. He did not mention that only three men had died throughout the voyage—a record that Cook would have admired. And he had achieved the remarkable feat of circumnavigating Antarctica closer to the coast than Cook—so close that he was the first to see Emperor penguins, the largest and southernmost-dwelling of all penguins. But the voyage had suggested few commercial possibilities and was largely ignored in Russia; and because his charts and logs were not accessible to non-Russian speakers the voyage was overlooked by other nations. 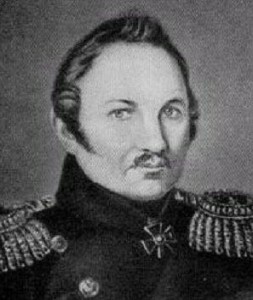 Bellingshausen rose to the rank of admiral during the next 30 years of his naval career and then was appointed governor of Kronstadt, the role he still held when he died in 1852.